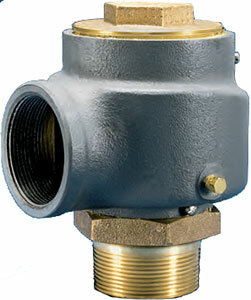 Applications Protection of low to medium pressure high volume blowers, compressors and pneumatic conveying systems. Protection of high volume vacuum pumps and conveying systems. Descriptions Model 337: has "lift-pin" lift device for easy manual testing. All adjustments are factory sealed to help prevent tampering or disassembly. Large nozzle design provides high capacity. Flat bronze valve seats are lapped for optimum performance. Warn ring offers easy adjustability for precise opening with minimum preopen or simmer.